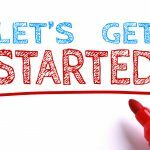 When you have found a home you are interested in buying, your RE/MAX Sales Associate will walk you through the process of drafting an offer to purchase. Your sales associate will communicate the offer to the seller or the seller’s real estate agent for you. Some properties are in demand and you will not be the only interested party making an offer. Your RE/MAX Sales Associate will assist you in generating an offer that is reasonable and protects your interests using specified terms and conditions. An offer can be drafted with or without conditions; an offer without conditions is known as a firm offer and one with conditions is known as a conditional offer. A conditional offer represents the party with the placement of certain conditions on the purchase. Some of these conditions could be “subject to financing approval”, “subject to the strata council allowing pets”, “subject to the buyer’s house selling”, “subject to an approved home inspection”, among many others. An offer includes certain “terms”, which specify the total price offered and how the financing will be arranged, such as if you will arrange your own with a financial institution or mortgage broker or if you wish to take over the seller’s mortgage (assumability). A deposit is provided from the buyer to the seller as a token of the buyer’s assurance and intention to buy the property involved. The deposit is applied against the purchase price of the home once the sale has closed. Your RE/MAX Sales Associate can assist you in proposing a certain and appropriate amount for the deposit. Items that are usually put in place to protect a party’s interests upon selling or buying the property and refer to things that must occur or be in place before the sale closes. This is the amount that the buyer is offering to pay for the property. The price is usually dependent on market conditions and may differ from the seller’s current asking price. If you don’t have a lawyer or notary public, you can look for a referral from friends, family or business acquaintances. Look for someone with real estate experience and discuss their fee scales. Your RE/MAX Sales Associate can help you locate a reliable professional, whom you feel comfortable working with. Your lawyer/notary public will prepare a “Statement of Adjustments” outlining all the financial aspects of your sale. 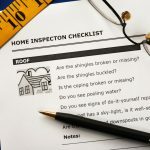 A home inspection is an objective visual examination of a home’s structure and systems.